Our salsa instructor, David, drives by in Centro Havana. Photo by Kait Labbate for Comuna Travel. Why Cuba? I get asked this question a lot since starting a travel company and launching with Cuba as our first destination. What drives Comuna is to use travel as a platform to connect people across cultures and build bridges by challenging cultural perceptions. Cuba is one of those places where perception does not quite line up with the reality, but where the reality is a very special, intoxicating and eye opening place. Canadians make up the largest demographic of foreign visitors to the island each year (in 2016, over 1.2 million of us sought sun and refuge from winter on La Isla Bella). But even so, most visitors opt for all-inclusive vacation packages spending their time on Cuban resorts like Varadero and Cayo Coco, or getting stuck in Old Havana's tourist circuit far away from real Cuban culture. Americans on the other hand have more recently been drawn to the island because of a warming in diplomatic relations under Obama (followed by an unfortunate cooling with Trump) and the allure of an island stuck in time that has long been forbidden. 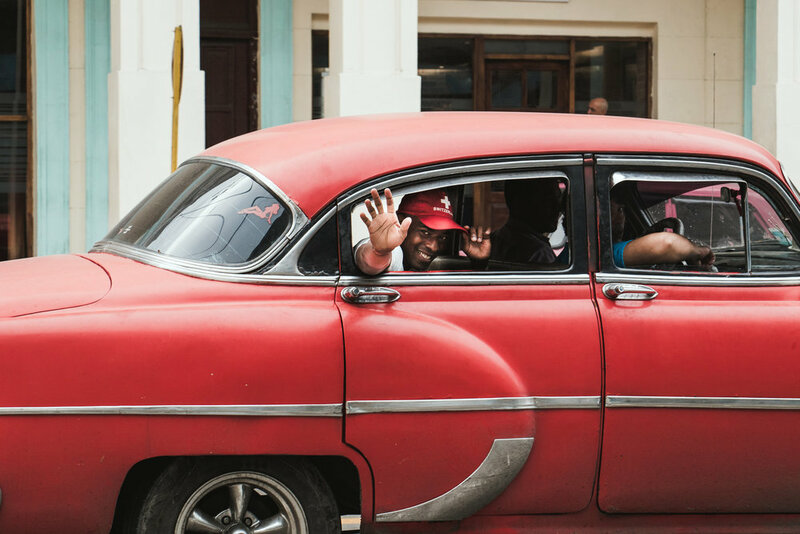 Vintage cars, crumbling architecture, cigars and rum are all part of the Cuban allure that has been created by the same repetitive travel articles and guides with headlines of "Go to Cuba now before it changes." So, why Cuba? Because there is so much more to it. In March of 2017, I visited Havana on a spontaneous trip after booking a last minute flight from Miami. It was during a conversation with a local couple on a Havana rooftop bar that led to the realization that the perception most travellers to Cuba have is often very limited to what's experienced on the surface level of mass tourism. One of the main reasons visitors have little to no knowledge of what's happening locally is the island's limited access to internet communication. It is very difficult if not close to impossible to find out what is happening locally once you arrive if you do not have local connections. Since that initial trip, I have been back to Cuba twice, and have become even more inspired and blown away by its traditional and contemporary culture. Every time, being guided by local friends further below the surface to experience the deeply creative, inspiring and often difficult to grasp reality of Cuba today. One which most never get to experience, but that all should. Cuba is a country with a deep, layered, complicated and wildly vibrant culture, made intensely beautiful by it's welcoming and big-hearted people. Cubans are the best I have ever met. Their tremendously resilient, proud and creative spirit is what has pushed them and the entire country onwards during difficult political and economic situations that have largely been out of the control of the people. To begin to understand Cuba below the surface and experience her true character and where it is as a society today, you really need to be able to connect with people on a local level. As incredible of a country as Cuba is, cities like Havana can also be huge tourist traps and exhausting hustles. I can not recount the amount of times that people have told me they did not fully enjoy their time in Havana, or Cuba in general, because frankly, they spent their entire time on the tourist circuit and didn't know what laid outside of it or how to even break free of it. It pains me to hear this. But, I also see it as an opportunity to share my experiences and help change misperceptions through Comuna trips that are curated in partnership with locals who live and breathe the daily beat of their country. My experiences in Cuba have included the most amazing gallery art openings of up and coming Cuban artists, stumbling across hidden art studios and amazing artists, being invited to the birthday parties of strangers in old mansions, sharing home-cooked creole meals in the kitchens of locals while talking about their lives and practicing my Spanish, being taught how to salsa dance on the Malecon, playing dominoes in the street with the neighbours, being introduced to inspiring subcultures, and experiencing Cuba's biggest names in urban music at exclusive local events and intimate venues (to recall just a handful). Two young Cubans walking down Paseo Del Prado. Havana, Cuba. Photo by Kait Labbate for Comuna Travel. The exciting energy and change that is happening in Cuba right now from the ground up and being led by determined, hungry and creative youth is why launching Comuna with Cuba as our first destination was a no brainer. I am driven by the desire to expand travellers' perceptions of places and people they think they already have the full story on. I want more people to experience the real Cuba in hopes that cultural exchange will further inspire young Cubans to keep pursuing their passions, preserving their culture, and creating new opportunities on their own terms. Beyond the convertible classic car rides and the pretty facades, there is a country that is beaming with pride, innovative creativity and inspiring young talent hungry for more opportunity, connections and a brighter future. Local creative at Clandestina, Cuba's first independent clothing label and design studio. Havana, Cuba. Photo by Kait Labbate for Comuna Travel. If you've been curious about visiting Cuba and experiencing it on a deeper and more authentic level, but don't know where to begin, skip the hassle and hours of research. Consider travelling with a tour operator that will give you a highly curated, locally conscious and creative travel experience you will be very hard-pressed to recreate on your own. P.S. If you want to chat Cuba, I'm always excited to share my love for and experiences travelling to this amazing country with others, so feel free to send me a personal email saying hello anytime ioana@comunatravel.com.